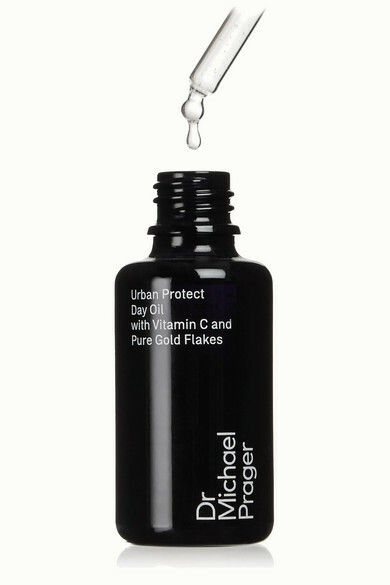 Part of Dr Michael Prager's new pollution-fighting skincare range, this 'Urban Protect Day Oil' is formulated with Essential Fatty Acids and Phytosterols to soften, soothe and replenish dry skin. 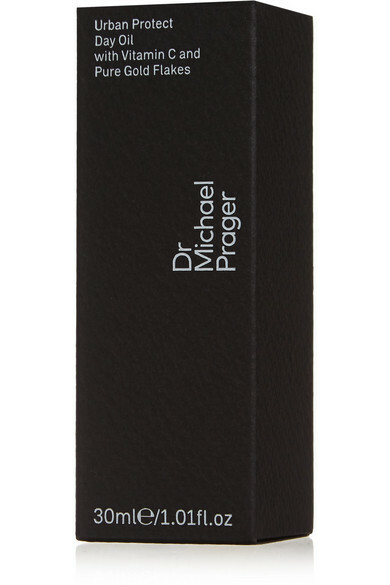 Working to protect cell integrity, this treatment helps to restore suppleness and elasticity, while Ascorbyl Tetraisopalmitate is designed to even out skin tone and illuminate your complexion. Gold flakes help to stimulate cell turnover, leaving your skin looking firmer, smoother and more radiant.